Formation worked closely with Jackson Safety to develop a new ADF (Auto Darkening Filter) user interface and an aggressive mask identity. This new ADF (Auto Darkening Filter) gives the welder options for sensitivity and delay levels for various welding applications. 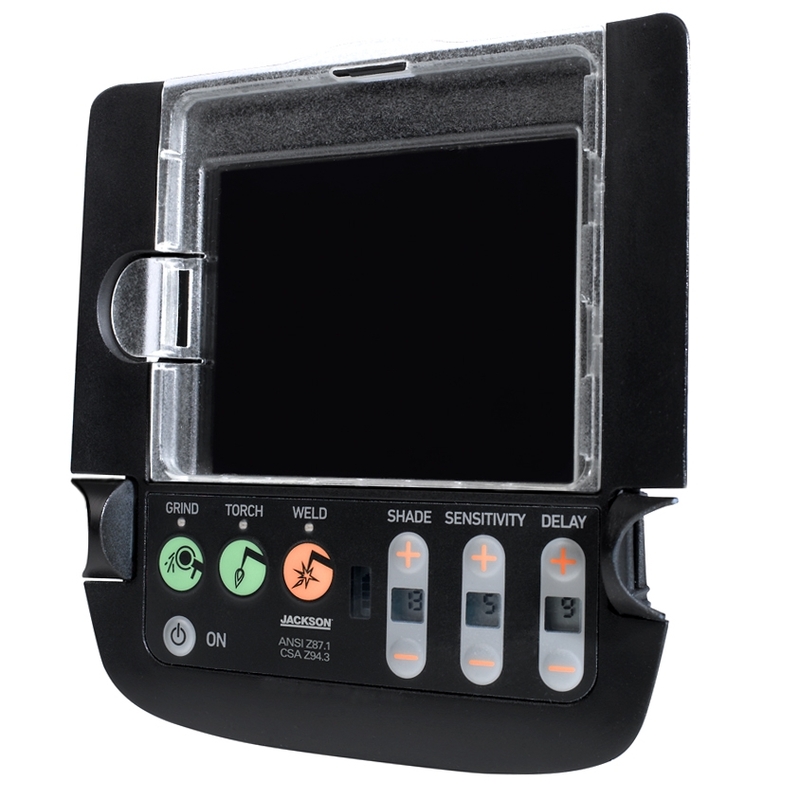 Large LED indicator buttons let the user directly choose from weld, grind and torch modes with gloves on. A variety of input and graphical display concepts were tested with professional welders with the most direct input concept (left) being selected for development. Jackson auto-darkening helmets feature self-tinting lenses to protect your vision and built-in magnification lens helps you see details better when welding.